Welcome back to Scavenger Hunt Sunday. This weekend, we’ve been visiting Felicity’s Maw Maw and Paw Paw. 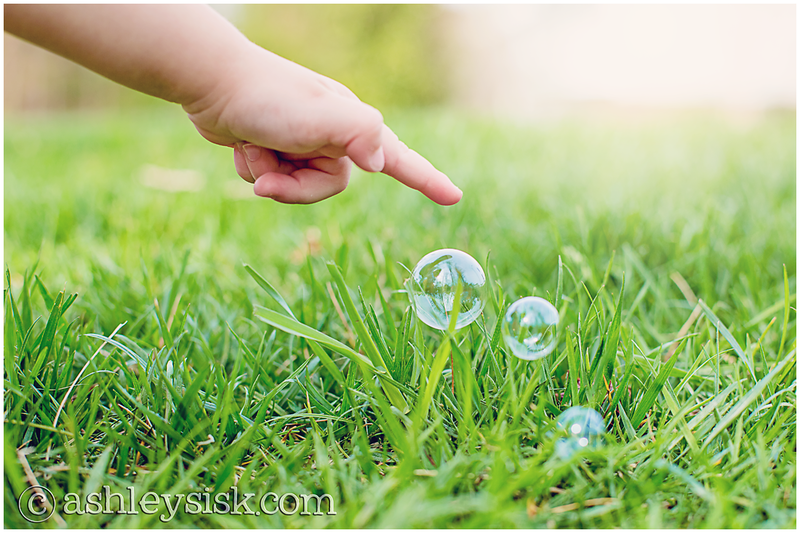 It’s been a busy weekend and has left me editing photos and writing today’s post at 10:30 pm. Oops. However, I’m loving my photos this week, so I guess it was worth it. But enough about me. If you didn’t participate this week in my scavenger hunt, but want to participate next week…next week’s list is brought to you by…ME!! I’ve had this first shot in my media stream for a week or two, just waiting for the right time to share it. Today is that day. 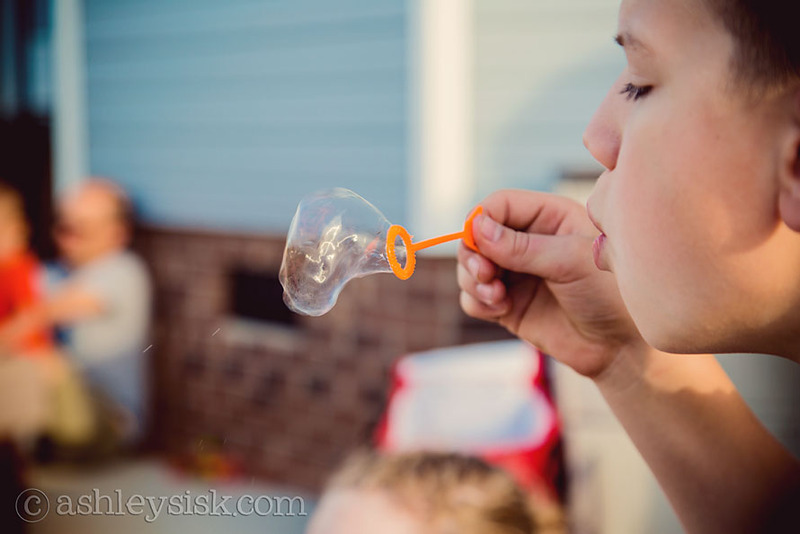 Then, I captured this shot of Logan (one of her cousins), blowing bubbles towards Felicity…and I had to share it too. Felicity loves to jump…as long as someone else is holding her, like her daddy. Grayson (another one of her cousins), on the other hand, was happy to show of his jumping skills for me. You saw these pajamas earlier in the week. Of course Felicity had to wear them at Maw Maw and Paw Paw’s house this weekend. She also had to sit at her own table…because she’s a big girl. 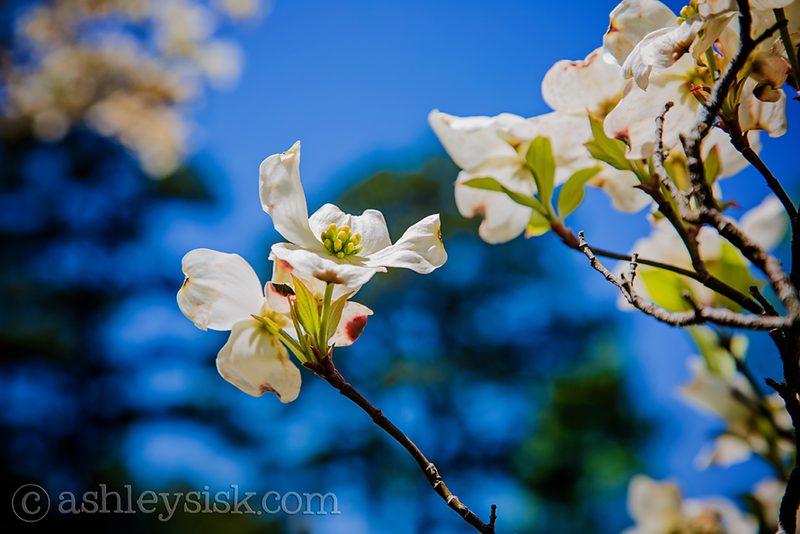 I think I imagined something else when I chose this prompt, but when I shot these dogwood blossoms, I knew I had to share it. Blur…bokeh…yeah, I think that works. 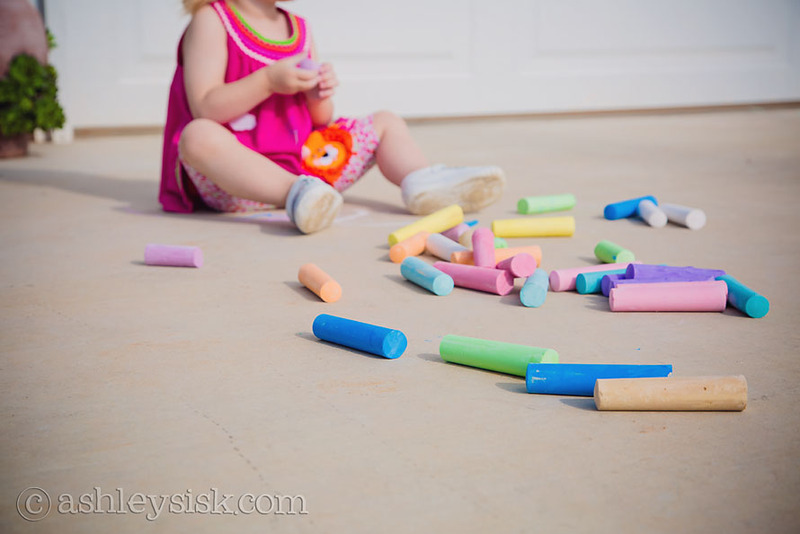 Felicity played with sidewalk chalk for the first time at the birthday party. She was playing with “Sissa” and her friend until they got up to play basketball. That’s when I captured this shot.